Since it was introduced in 1956 by IBM, hard disk-drives have come a long way increasing data storage capacity, efficiency, size and access. 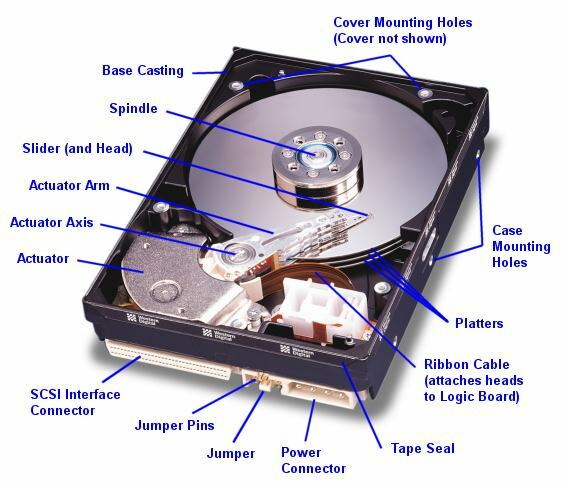 They are called by many names; hard drive, disk drive and hard disk. It is a disc that rotates at a high speed that is coated with magnetic material that stores data and can be written and retrieved data by a magnetic head. They come in various sizes ranging from 1.8” to 3.5” and have capacities ranging from 107 GB to 4 TB. They are mostly used in desktop computers, mobile devices such as laptops, enterprises and consumer electronics. Major manufacturers of hard disk-drives include Western Digital (31.2% market share), Seagate (29.2%), Hitachi Global Storage Technologies (18.1%, acquired by Western Digital in March 2012 for $3.9 billion), Toshiba (10.8%) and Samsung (10.7%). They manufacture and ship over 167 million units a year. Hard disk-drive manufacturing industry is consolidating. Western Digital, the largest among the manufacturers, recently acquired Hitachi Global Storage Technologies. Recent flooding in Thailand, where major manufacturers are running factories, could affect the supply of units. However, all major manufacturers are anticipating that the demand for storage units to continue into the future at a much faster rate.